The Student Physics Table is designed to be a flexible space for up to eight students. 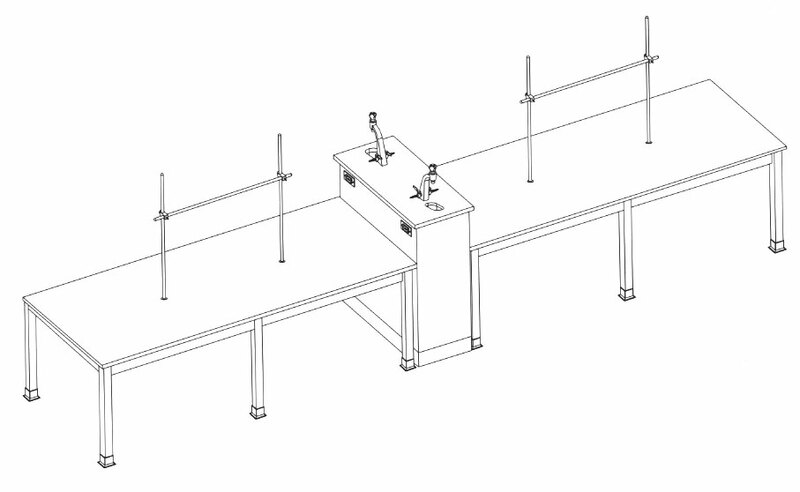 The moveable tables combine with the fixed service island for flexible convenience. The long space and upright rods allow enough length and height for many physics experiments.